GEORGETOWN, CA NOVEMBER 8, 2012 – The Gomez Brothers, in their first year of racing the Ultra4 Class, have secured two 2013 Griffin King of the Hammers starting positions. One through their finish at the Ultra4 Best in the Desert Vegas to Reno race and the second through claiming the 2012 NorCal Rock Racing Championship title. “We have had a great year and are already in full preparation for February’s King of the Hammers,” said Marcos Gomez. Marcos Gomez and JP Gomez will each be separate drivers of record at the 2013 King of the Hammers. Brothers Marcos and JP Gomez have a goal set, and they are putting every effort forward to achieve it. “We want to win the King of the Hammers.” The Gomez Brothers team quickly added Bob Roggy of Roggy Enterprises to head the development of the team and build of two Ultra4 cars. They started the year with a proven car of Les Figueroa and successfully hit their goal of two starting positions. The team is now fully engulfed in building two new IFS cars and added Dan Trout of Fishmouth Fabworks to the build team. One car will debut at the 2013 King of the Hammers, the second car will debut at the Ultra4 NorCal Stampede April 5-7th. The Gomez Brothers are not going to be racing the Ultra4 PSC National Brawl in Texas this weekend. Instead, they have already positioned themselves at Johnson Valley for a quality winter of learning the trails and testing. 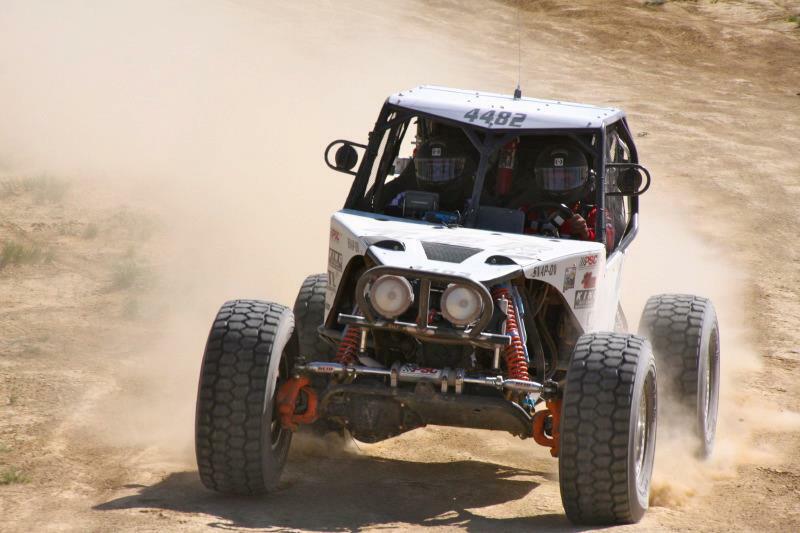 Marcos Gomez will be navigating for Pistol Pete Sohren in next weeks Baja 1000. Crew Chief: Bob Roggy Jr.